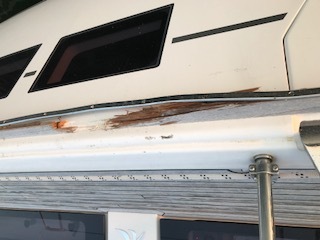 My 505 suffered some damage to the port side rub rail during a nasty night tied to a bulkhead. Long story. About few feet of teak needs to be replaced. I think the metal trim piece is salvageable. Any tips on undertaking this repair?